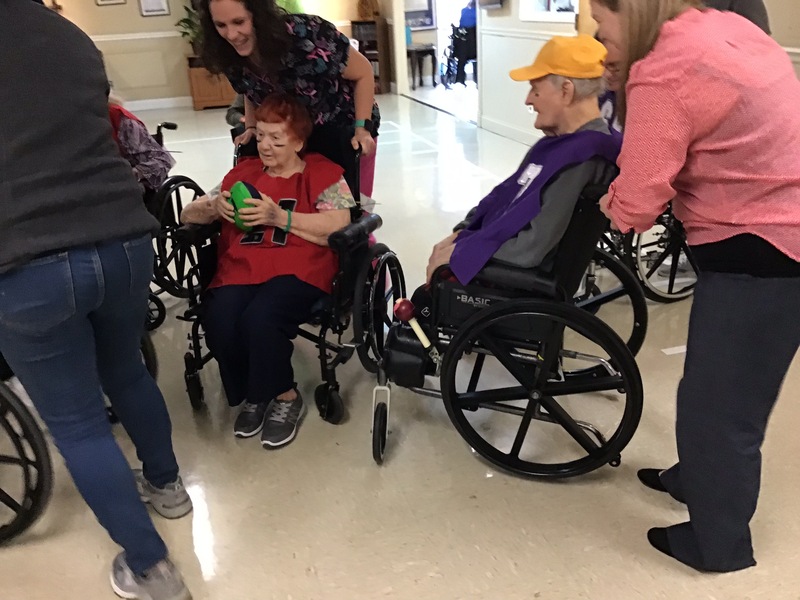 Super Bowl 2019 at Clinton County Care and Rehab Center pitted the skill of the “Old Timers” against the vitality of the “Red Hots”. Billy’s experience got him through to the field goal line, while Ruby’s daring swept past the defenses. Both teams were relentless and did well. Congratulations to everyone. Give them a cheer (thank you cheerleaders)!